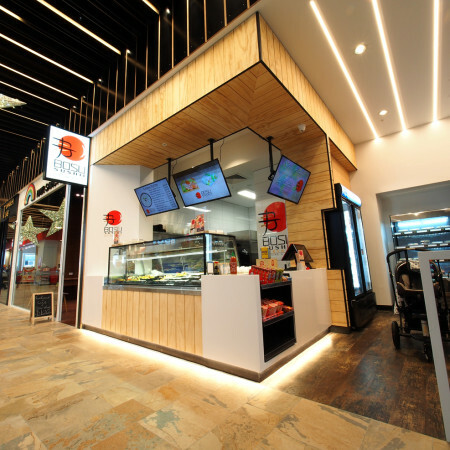 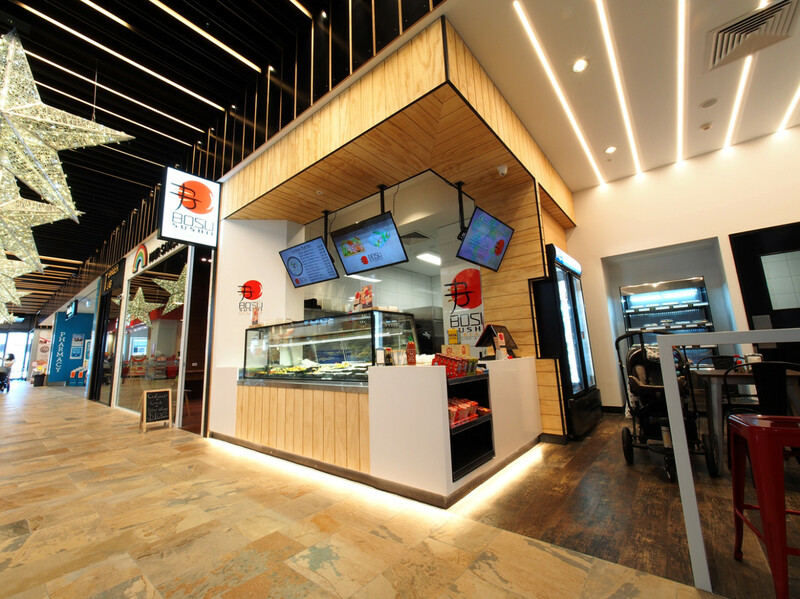 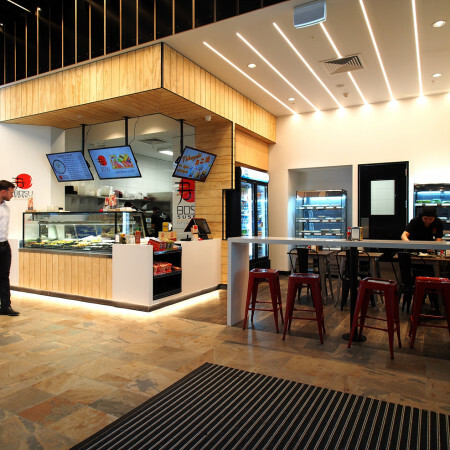 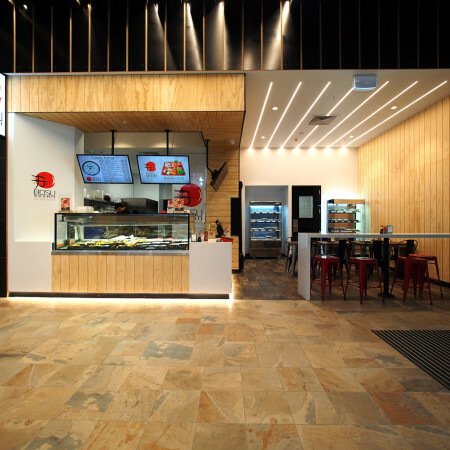 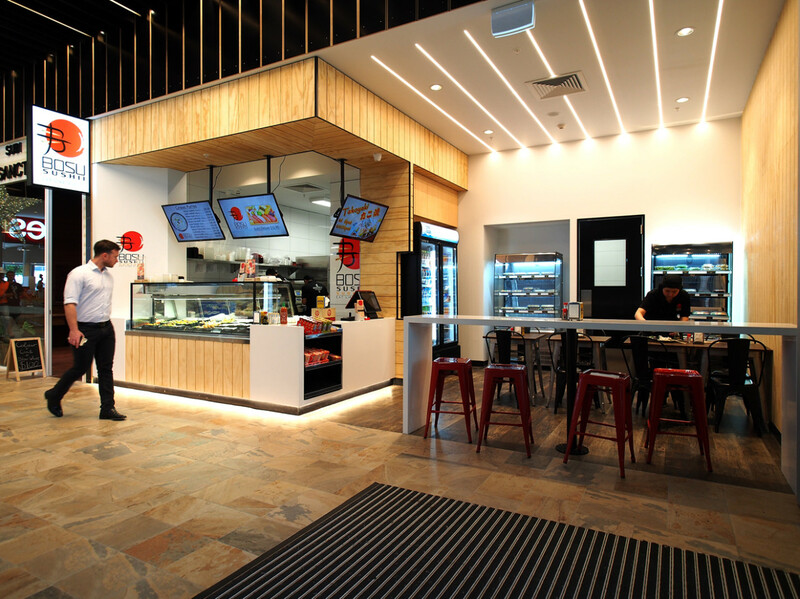 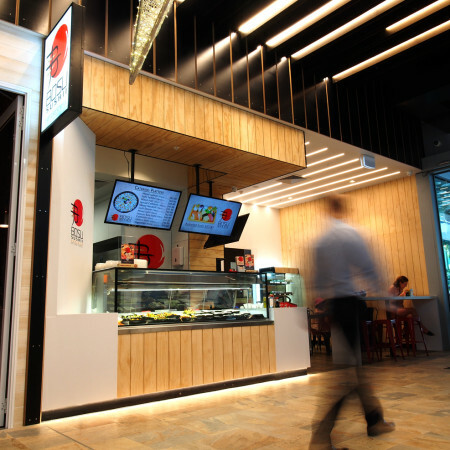 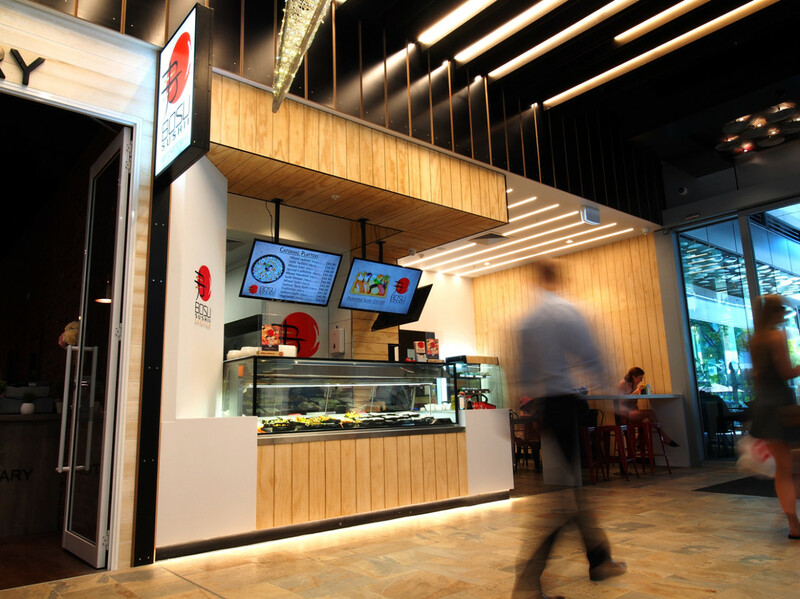 This is the second re-branded Bosu Sushii outlet. 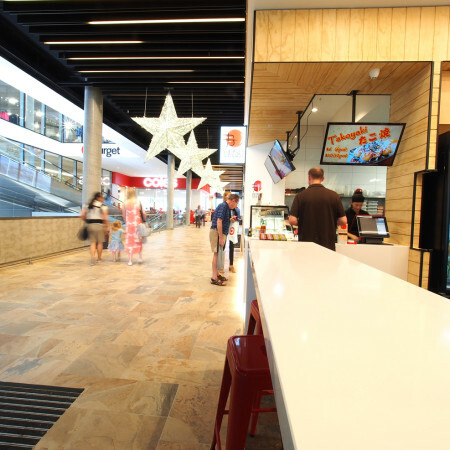 The materials palette and colours were selected to achieve a ‘white and bright’ environment which places emphasis on the colourful food on display. 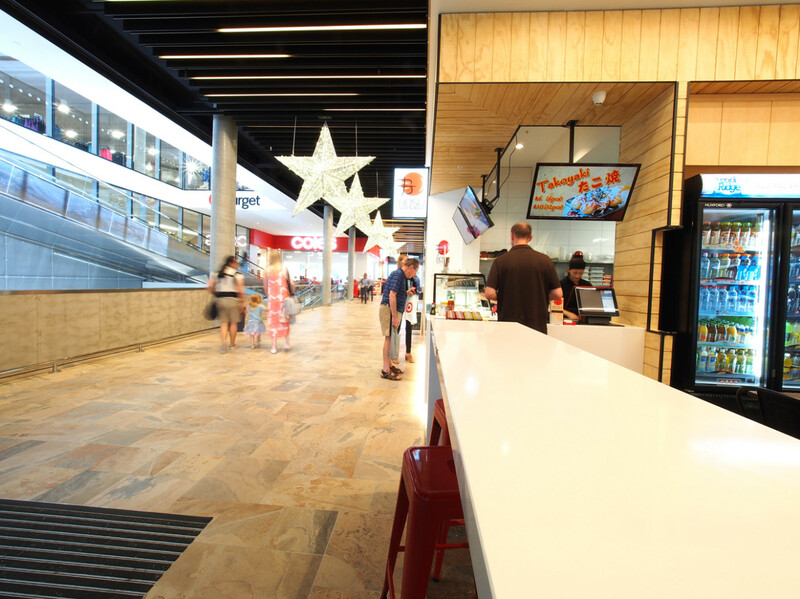 We’ve introduced linear lights in the ceiling to draw attention into the shop and to accentuate the ‘lines’ that are prominent throughout the interior as well as the mall. 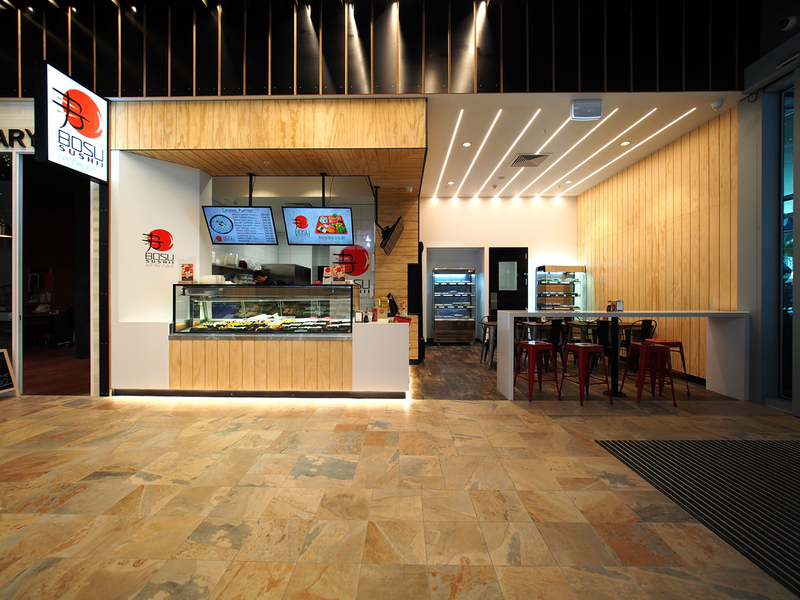 The sealed timber with expressed grains, usually for external applications, adds warmth to the atmosphere which effectively reflects on the food being offered without taking away from the colours of the fresh ingredients.